It is about a 50 min drive from Montego Bay Airport. We can arrange your private pick up from the Montego Bay airport to bring you directly to our villa. It is not necessary to rent a vehicle as we can give you names of private drivers who are honest and reasonable. Cost of transportation listed below is subject to change. 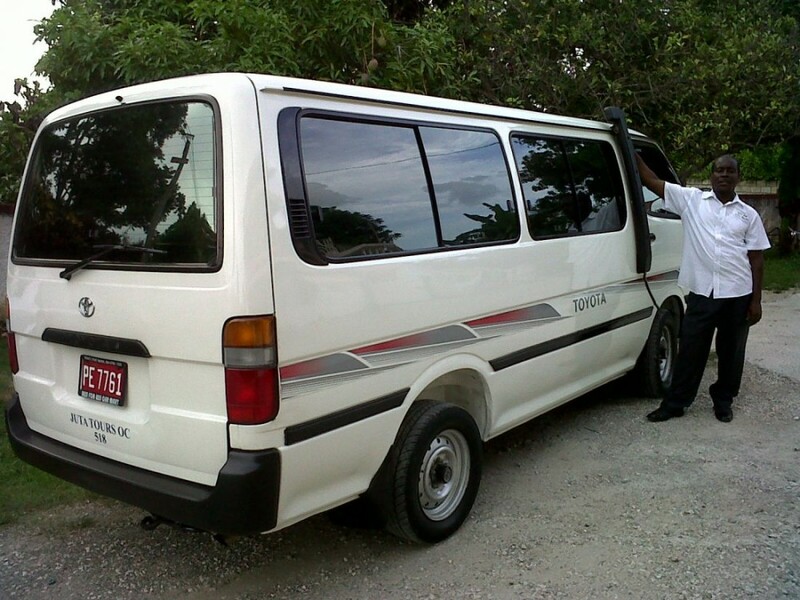 Transfers from the airport is $80US- $100 US each way in a 12 passenger air-conditioned mini bus. If your group has a lot of bags or golf clubs, you may need to hire a second bus/car for the trip. Another option is to hire the driver for the week ,for all your trips and errands. The weekly price for van and driver includes 1 airport transfer each way, plus trips to the beach, golf, Ocho Rios and all local attractions. If you want to take a day trip to Negril, Port Antonio, Bamboo Alley, Appleton Rum Factory or YS Falls, the trip may cost you extra. You can also hire the driver on a" pay as you go" basis.The driver works independent of the villa, so you negotiate and pay him directly for all trips. Price for the week for van and driver is approx $525 US-$700US. The Car and driver option is suitable for up to 4 passengers. We could arrange a car and driver for airport pick up for $65US.The charge for the week for car and driver is $350US and that includes 1 airport transfer each way, plus trips to the beach, golf, Ocho Rios and all local attractions.You can also hire the driver on a "pay as you go" basisThe driver works independent of the villa, so you negotiate and pay him directly for all trips.